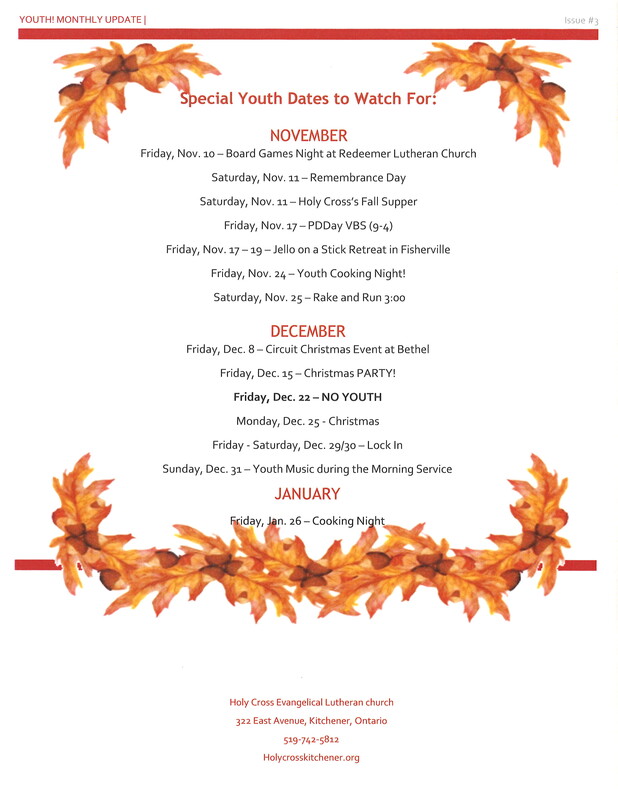 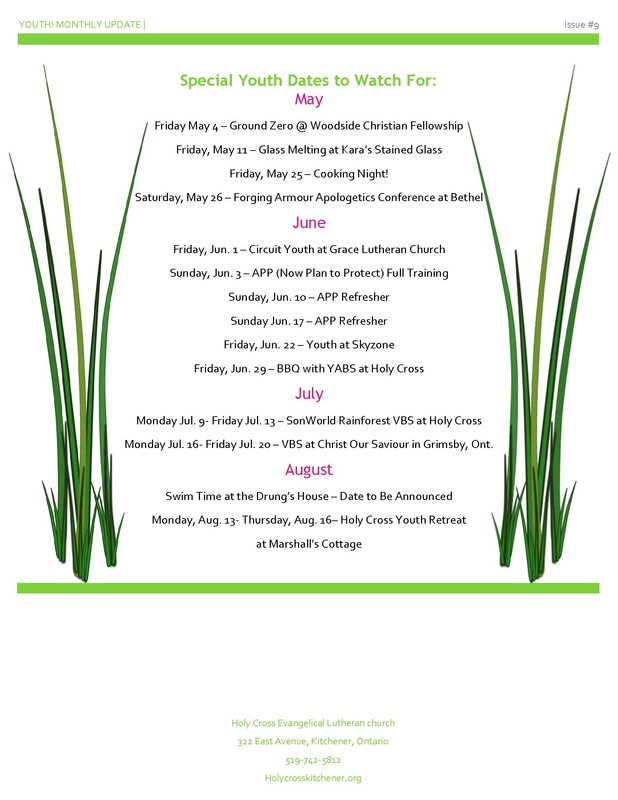 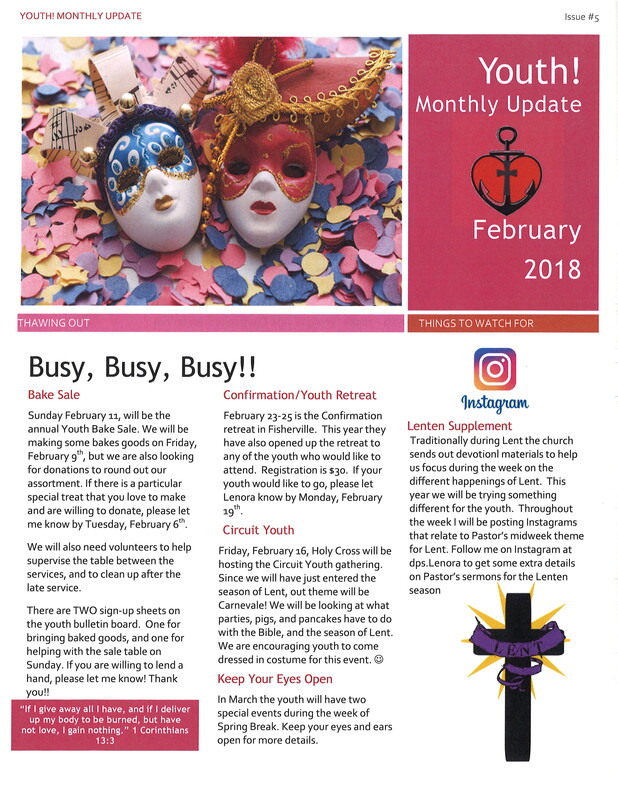 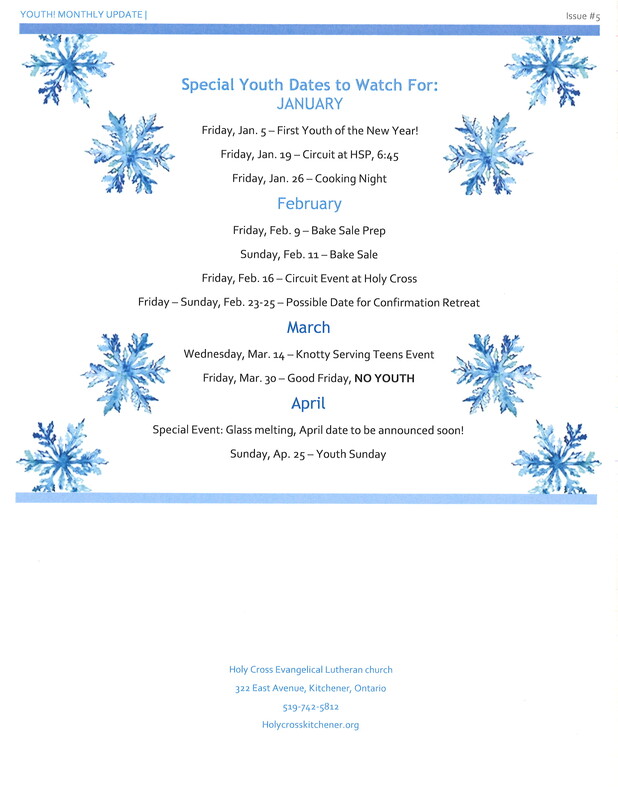 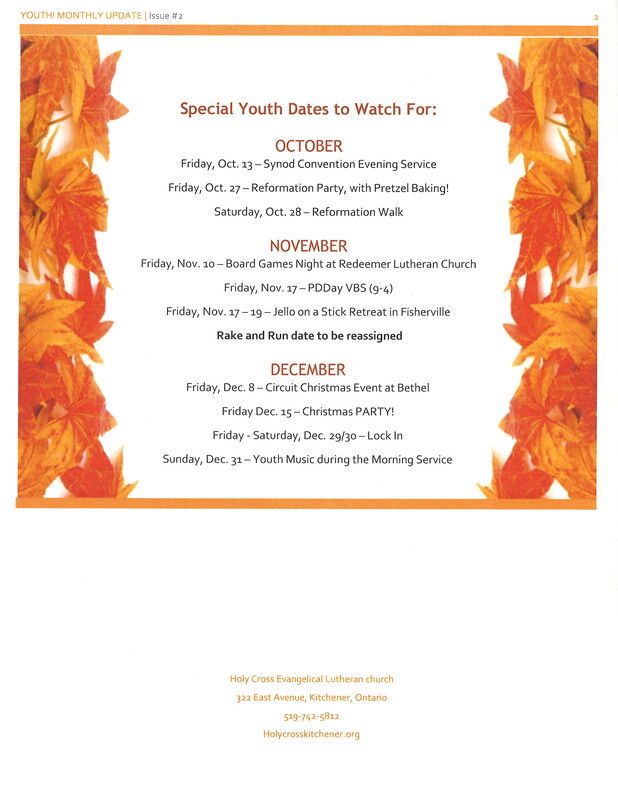 Welcome to the youth events page for Holy Cross. 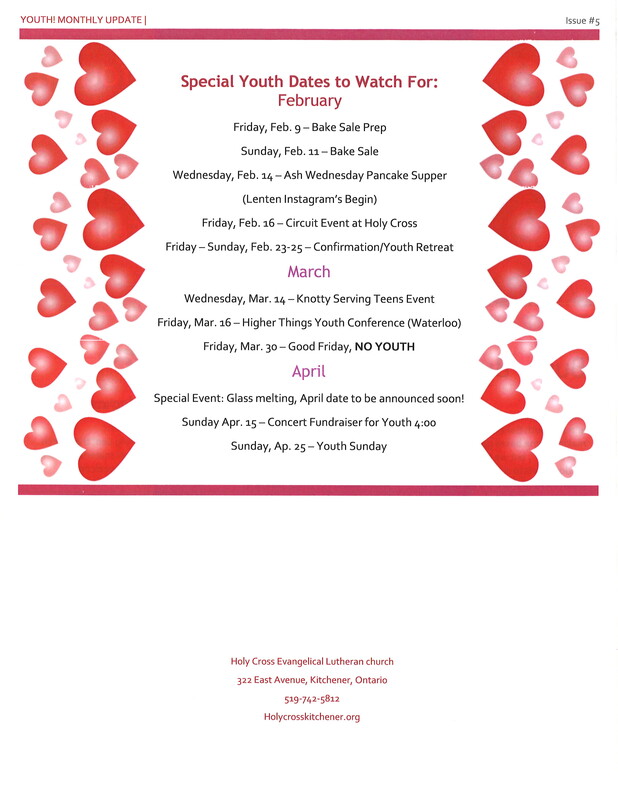 At Holy Cross we have as our vision to “By God’s grace, be a caring, vibrant, diverse community of blessed believers, lovingly reaching out with the message of Jesus Christ.” Therefore we welcome any and all youth to come and know you are welcome here. 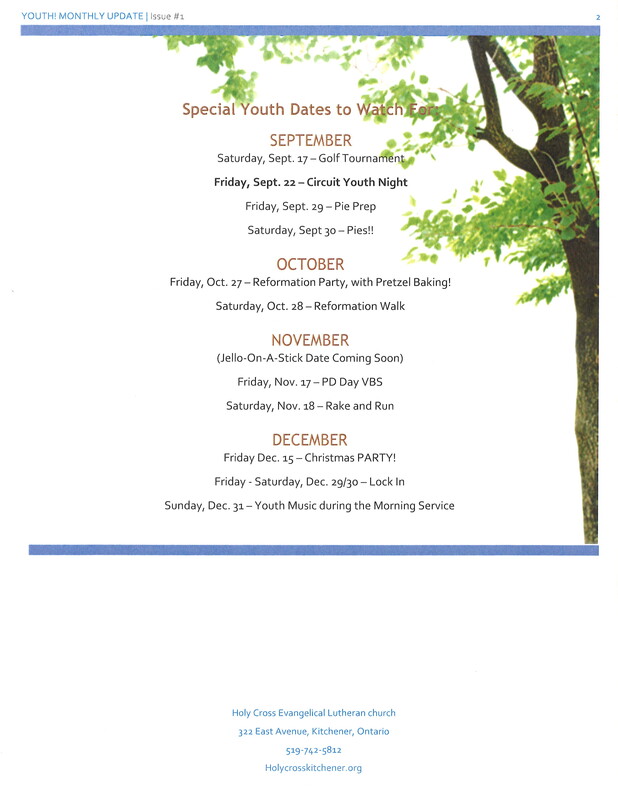 Youth age is from Grade 8 – Grade 12 or from around ages 13-18 years old. 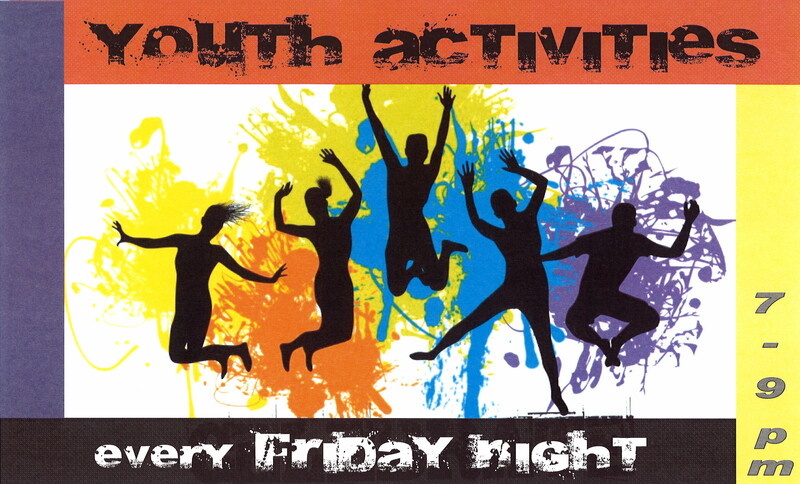 Friday night is Youth Night. 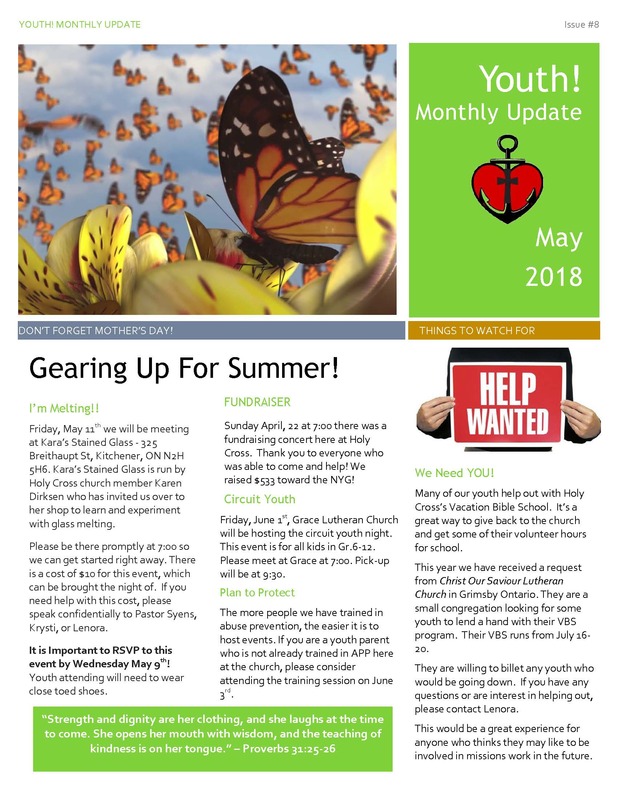 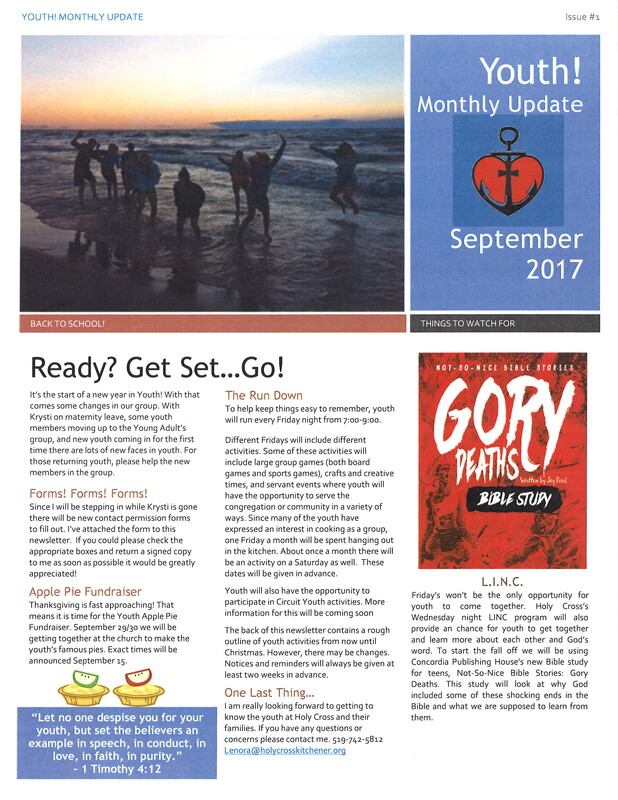 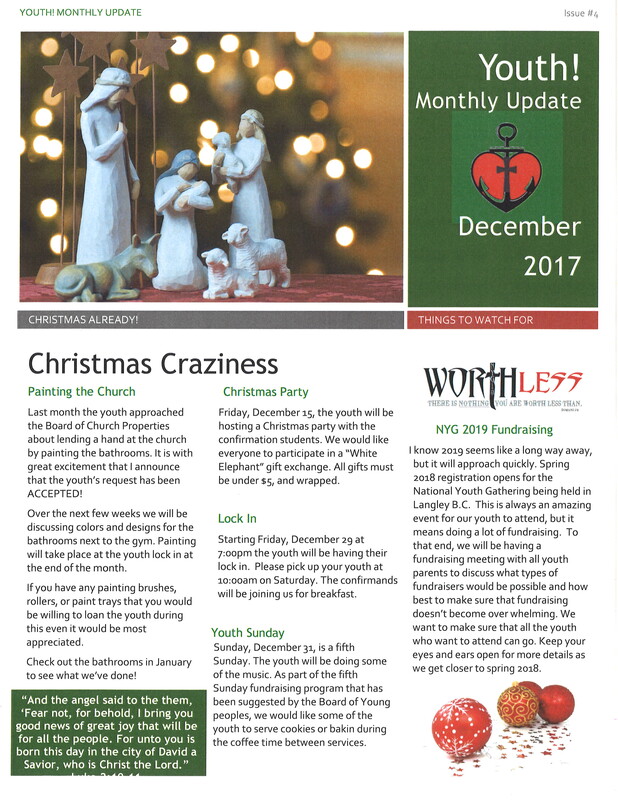 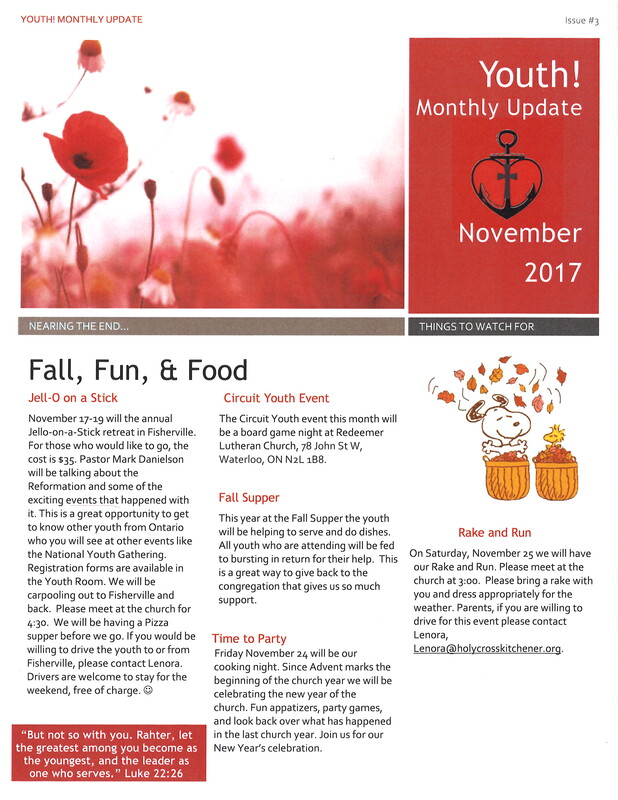 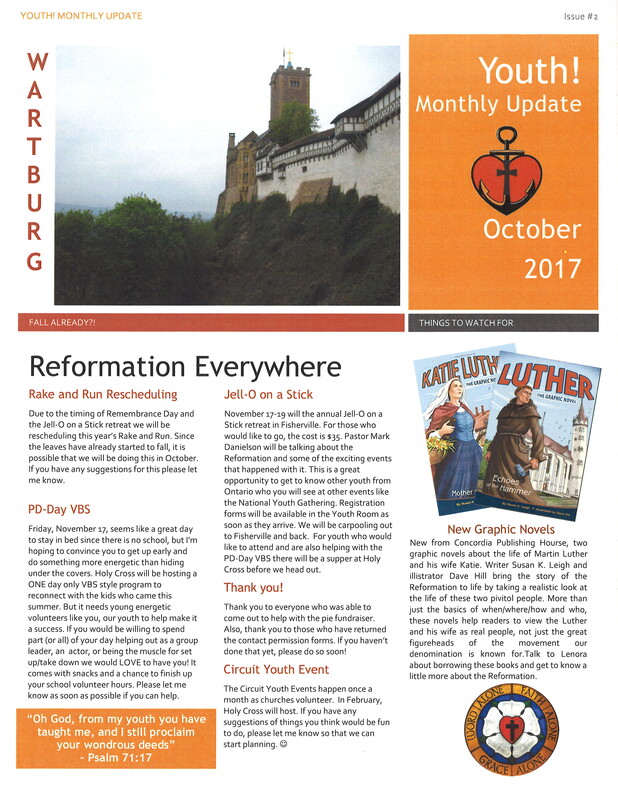 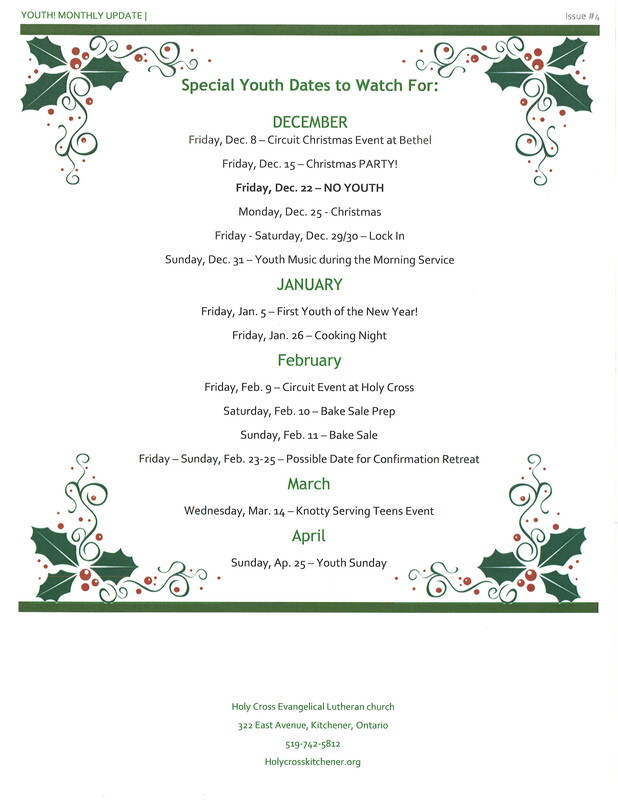 We meet from 7-9 p.m. at Holy Cross but once a month we join in with other youth for circuit youth activities with other Lutheran Churches. 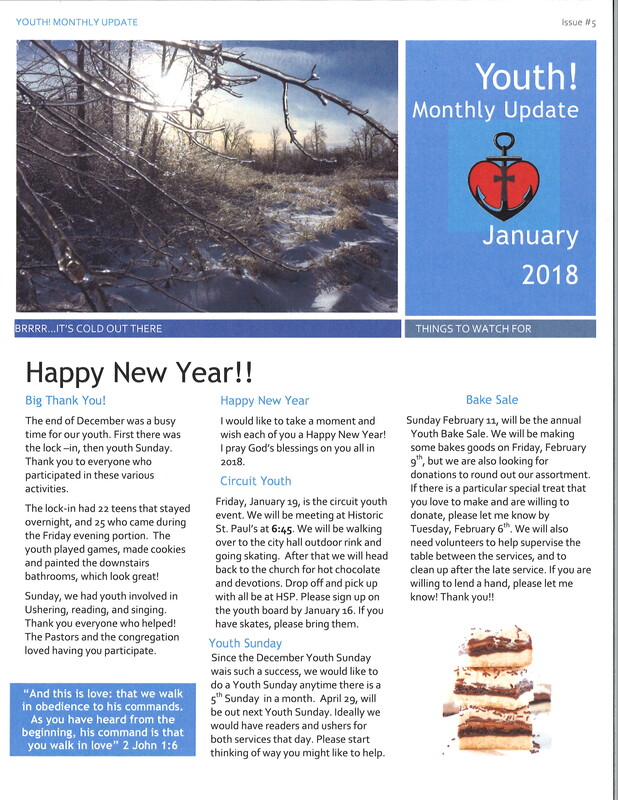 Sunday’s Youth Bible Study is from 10:00 – 10:45 in the Youth Room at Holy Cross where all youth are welcome to come and share and learn from God’s Word or on a particular topic.